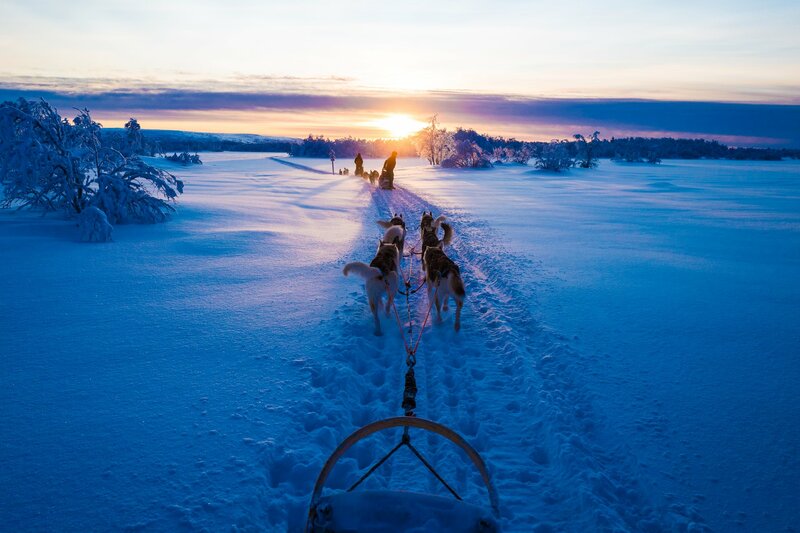 One's first thought of the northern countries may be an image of snowy terrain and a dog-sled. 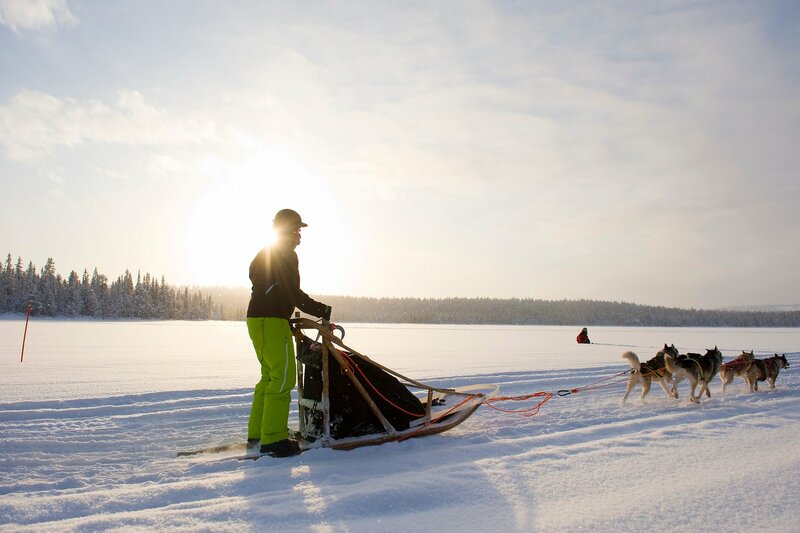 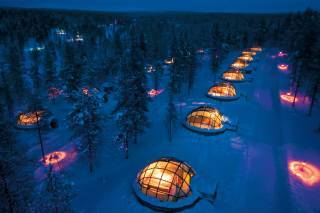 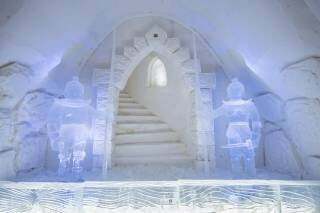 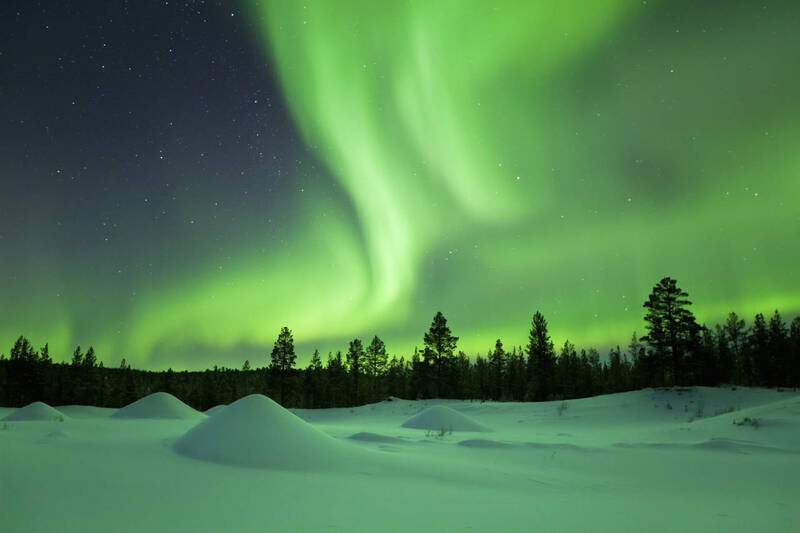 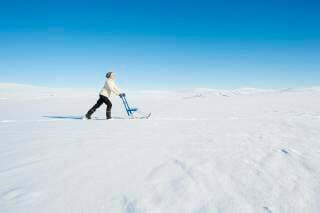 Finland is a perfect place to experience this winter activity. 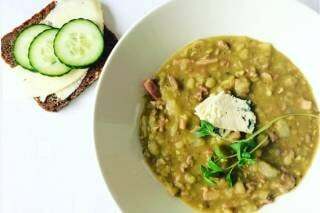 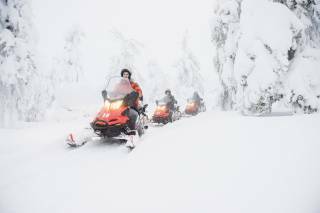 It is the easiest, most comfortable, and one of the most exciting ways to enjoy the winter outdoors while riding through Finland's gorgeous nature. 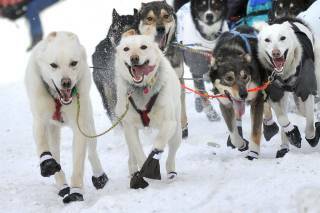 The dogs are well-trained and really smart—they know the way and do their job perfectly. 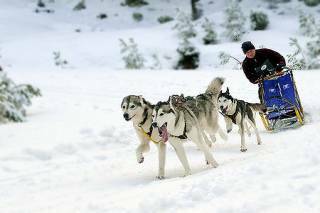 The only thing you have to learn is how to stop the dogs, as huskies like to run and usually won't stop until you make them. 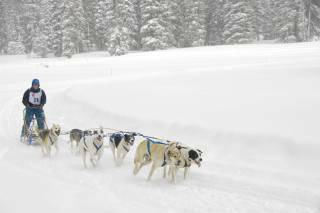 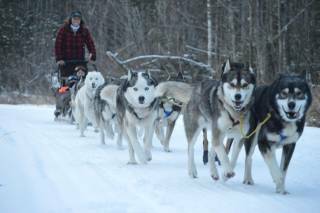 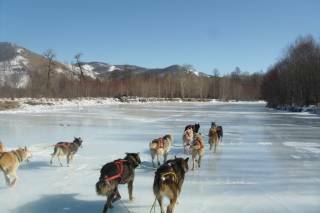 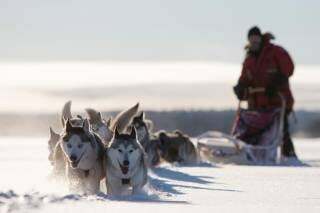 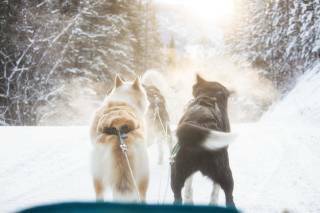 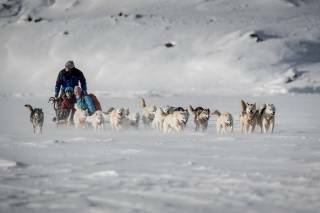 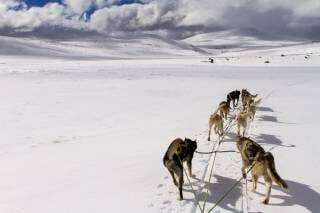 A husky safari may be the most impressive experience of your winter holidays, especially if you love dogs. 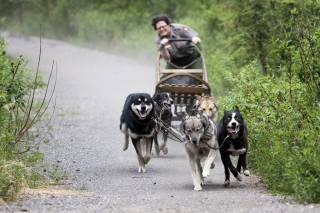 They are truly adorable and may be more excited about the ride than you. 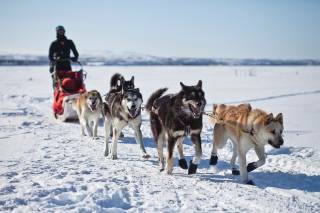 Frozen lakes, snow-covered forests, and wide open snowy lanscapes are waiting to be explored. 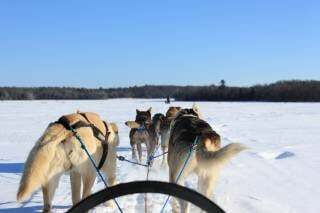 The best time to experience dog sledding is March and April as you get long daylight, lots of sunshine, and the coldest weather is over. 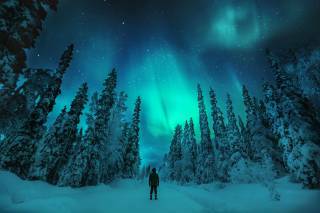 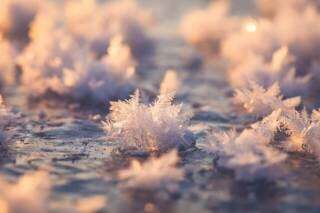 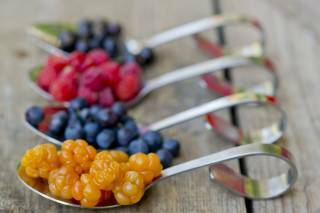 February is the coldest month of the year and December–January are the darkest. 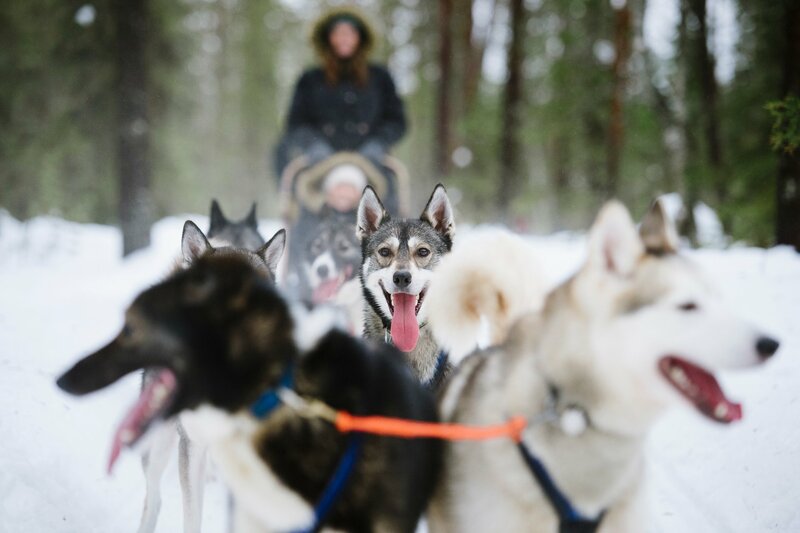 You can choose from a short ride to a longer lasting tour—up to two weeks! 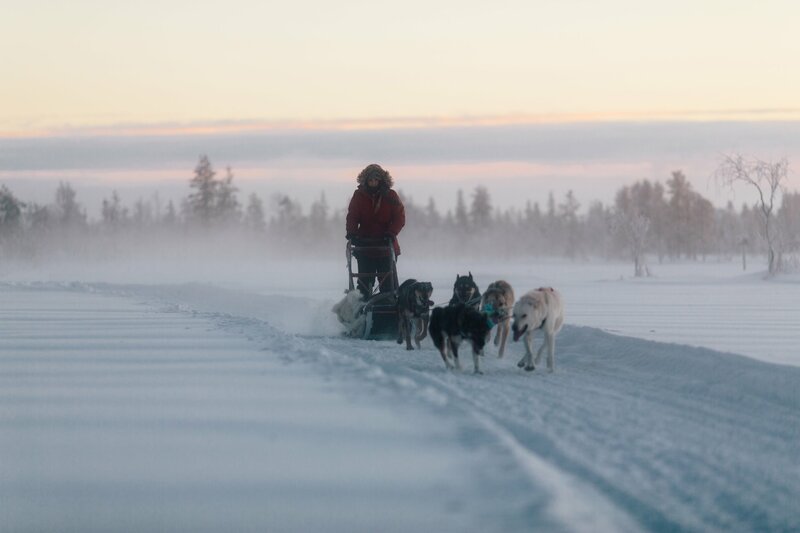 Longer tours will require your assistance in cleaning, cooking, carrying wood for the fire, and preparing the sauna. 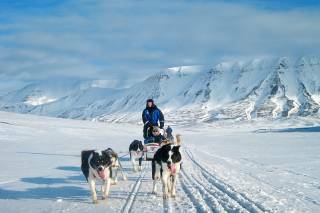 But if you are ready and up for it go ahead and book the most suitable tour.